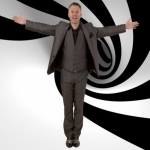 John Penman offers the best in Magical Entertainment and comedy hypnosis shows for any occasion. He is sought after all over the UK for his unique style in Close-up Magic and is renowned for his hilarious Comedy Hypnosis shows. When you are out to impress your clients or guests then John Penman is the right entertainer for you. Please look him up on Google and find what others are saying. Book the best- Book John Penman The Comedy Hypnotist & Magician.